Upon hearing the term, a natural reaction is to wonder what cryptokitties and what impact they have on the cryptocurrency market. One example comes after Forbes announced that Cryptokitties had formed a new partnership with both ACTAI Global and Ocean Elders to create "Honu." Honu is the latest cryptokitty creation, and will be the world's first "sea-loving virtual feline" bred specifically to serve as the environmental ambassador responsible for protecting the planet's oceans and wildlife. Honu is currently being auctioned off until July 15 as part of a charity fundraiser at the Blockchain Summit in Morocco. All of the proceeds from the winning donation for the new cryptokitty will be used to help the world's oceans. Of course, the motivation to give money for Honu is to give to charity, but cryptokitties themselves have become a phenomenon within the cryptocurrency industry. Users have spent over $12 million on cryptokitties since their creation. If you're wondering why someone would spend that kind of money on virtual cats, you're not alone. Anyone with an interest in the cryptocurrency industry has heard of cryptokitties, but some don't know what the purpose of a cryptokitty is. Here's everything you need to know about what cryptokitties are and why they've become such a craze among crypto traders. 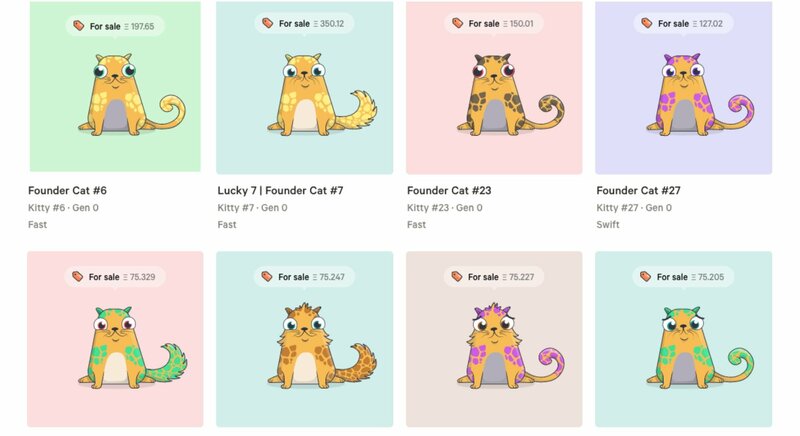 Cryptokitties is a blockchain-based virtual game that allows players to buy, raise, and trade virtual cats. Axiom Zen, a blockchain based company in Vancouver, developed the game to be the first known application of DAPP for leisure and recreation. While some people have assumed it to be a currency of some kind since most blockchain projects also launch with a cryptocurrency, cryptokitties are actually blockchain assets instead of a cryptocurrency. The biggest difference for the game is each cryptokitty is unique and one-of-a-kind. 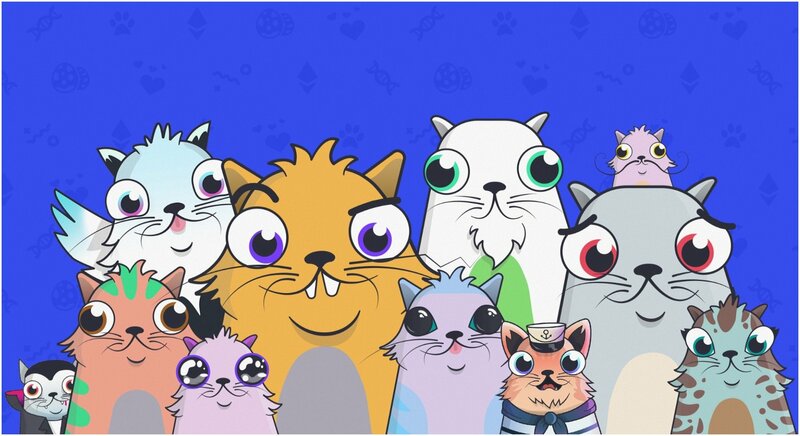 The game also utilizes non-fungible tokens that create value based on the uniqueness of the kitty. Unique features are written into their code as the CryptoKitty’s phenotype and genotype, so a cryptokitty's genetic information determines its appearance and other characteristics that make it different to all others within the game. How is Ethereum Related to Cryptokitties? Rather than needing to create its own blockchain, the game utilizes the Ethereum blockchain network. Smart contracts are also administered in every aspect of the trading and creation of cryptokitties. Because of that, there's no central authority to change, remove, or alter cryptokitties once they've been officially created. 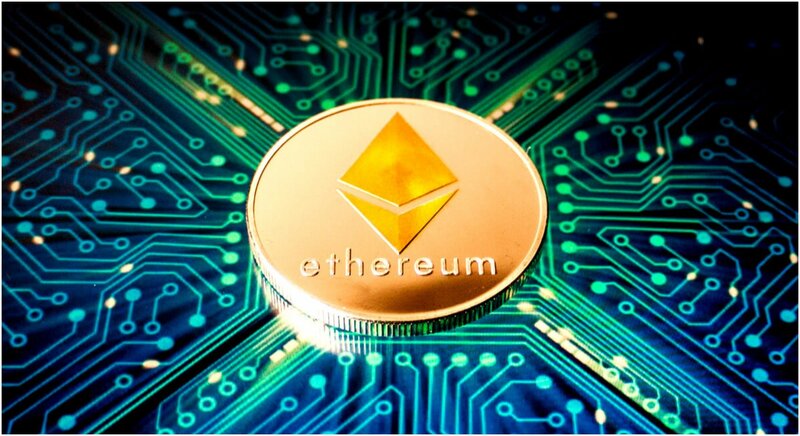 More importantly, Ether is used as payment for all transactions throughout the game. As of this writing, you still can't buy cryptokitties with fiat currency. That could change in the future, but you're still required to use an Ethereum wallet to own and trade cryptokitties across the network. The option exists to write code to communicate with the smart contracts, but additional programs are required. The most convenient way to purchase your own cryptokitty is to buy one at an auction of their website. However, since each one will be unique with their own set of characteristics, each will sell for a different and competitive price. A new kitty is born every 15 minutes, which means there's plenty of opportunity to get involved with the game. Also, you'll obviously need to create an Ethereum wallet of your own to buy them from an auction. To do that, you can use fiat currency and excahnge for Ether through Bitfinex, Coinbase, Kraken, GDAX, or Gemini beforehand. Aside from the fact that cryptokitties are cute, fun, and every single one is unique, the benefit of the game allows a lot of people to see the value and potential of blockchain trading and securing digital assets. That was actually the driving principle behind the creation of the game, and it has been a smashing success since its launch in December. You may not have an interest in trading virtual cats, instead you may prefer collecting virtual cats. Regardless, the important thing is you're no longer in the dark about the game. By reading through this guide, you should now know what cryptokitties are and what their purpose is within the cryptocurrency marketplace.